The Recipe: A one-pot supper, chicken and roasted cauliflower with warm spices and a touch of sour from the exquisite Spiced Preserved Lemons. The Conversation: Treasured Sunday-morning rituals. Do you have a morning ritual that you treasure? Here, it's the Sunday-morning ritual that I most treasure. It starts early, always with coffee, usually outside under the big maple tree when it's warm, usually tucked in by the fire when it's cold. A grand plan for breakfast emerges, I'm happy to turn over the reins for man-style bacon and eggs, nearly always with no-recipe vegetables of some sort cooked and presented beautifully and other than delicious, never the same twice. My job is to go for the Sunday papers, the dog shares this duty, it's a half mile up and back. So no, it's not church. But even so, it's a holy time, one of reverence, spiritual uplift and human communion. I like to think God approves. I ♥ the Sunday Magazine! My favorite part of the Sunday papers? The Times Sunday Magazine! 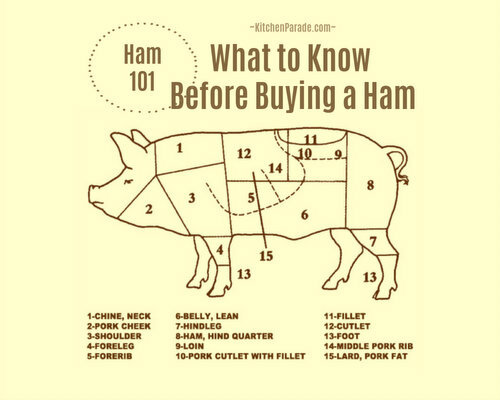 I check it straight off because often the Sunday recipe turns into Sunday supper. And have you seen what the Times has done to its food section? Check out what Sam Sifton's new leadership has collected, here or maybe here. So cool! There's some NYC-only stuff but plenty for the rest of us, all beautifully curated. I love the daily e-mail with two or three weeknight-perfect recipe ideas, seasonal, simple. It's my kinda food, maybe yours too? Chicken with Winter Squash. Beef with Cauliflower. Finally the Chicken with Cauliflower. Anyway. Last November when Arctic Cold invaded much of the country, Chicken Tagine was our Sunday supper, sourced from that day's Sunday Magazine. But no way was I heading to the grocery store just because the recipe called for cauliflower! So I substituted an on-hand butternut squash, it turned out beautifully! The next week, I substituted round steak for the chicken, fresh cranberries for the olives and cut a head of cauliflower into snowy florets – so so good! Then for this past Sunday dinner, I finally got down to "following" the recipe, chicken, spices, cauliflower and olives. But sweet potato would work, so would potatoes, rutabagas, even a medley of fresh tomato, corn and okra during the summer season. Zucchini too? Yes! Just think of any vegetable that "tastes good" paired with lemon and can handle some spices. This is season-crossing eating at its best. But the one ingredient there's no skipping? The preserved lemon! What's that, you ask? Here's how I make Spiced Preserved Lemons. What about you? Is there a rhythm to your Sunday mornings that you treasure? Do share ... leave a comment below or send a quick note! ROASTED CAULIFLOWER Set oven to 400F/200C. For easy clean up, if you like, line a baking sheet with foil. In a large bowl (you'll use it again for the Spice Mix and Chicken), toss the cauliflower and olive oil. Arrange the cauliflower in a single layer, let roast until just beginning to soft, about 20 minutes. CHICKEN Tear off and discard the chicken skins. Toss the chicken pieces and the Spice Mix, thoroughly and evenly coating the chicken. Heat oil in the skillet on medium-high until hot and shimmery, add chicken pieces – they should sizzle; the thighs go top-side down; don't crowd the pieces, you will likely need to cook the chicken in two or even three batches. Cook until brown on one side, turn and cook until brown on the other side. Transfer browned chicken to a plate. NESTING VEGETABLES Add the onion to the hot skillet, scraping up spices and oil from the cooking vessel to coat the onion pieces. (If the skillet's a little dry, add a splash of water.) Cook just until beginning to soften, stirring often. Stir in ginger and tomato paste, let cook for 1 minute. Stir in tomatoes and chicken stock, let cook 1 minute. If using a tagine, transfer Nesting Vegetables to the tagine and nest the chicken pieces on top. If using the same skillet, just nestle the chicken pieces on top. Nestle the Roasted Cauliflower between the pieces, stems down. OVEN Reduce oven temperature to 350F/175C. Cover the skillet or tagine, cook for 30 minutes. After 30 minutes, with a spoon, stir the preserved lemon into the Nesting Vegetables as best you can, in the gaps between the chicken pieces. Sprinkle with the olives. Return to the oven, still covered, for another 30 minutes. SERVE Serve tableside with Cook’s Illustrated Foolproof Oven-Baked Brown Rice. ALANNA's TIPS Wondering how to wrangle a head of cauliflower into sweet little florets? Here's a quick photo tutorial. Or if you go for butternut squash, here's How to Cut, Peel & Cube a Butternut Squash and Keep All Ten Fingers, it's a life-saver! (Or at least a finger-saver!) If the squash is large, about 2-1/2 to 3 pounds, you'll get a pound of cubes from the "neck" alone. We do have this lovely white stainless steel All-Clad tagine so often use it – I love the drama of whisking off the domed lid at the table with great flourish! But to save on dishes for a one-pot supper, use a shallow braising pan like this one or a deep, heavy skillet (non-stick, cast iron, etc.). Whatever you choose, just make sure it's oven-safe and has a lid. Many people like to leave the chicken skins on, so go ahead, if you like, but it will up the calories considerably. One great trick for "capturing the flavor" of the chicken skin without all the calories is to remove all the skins but to add just one skin to the skillet along with the oil when cooking the chicken. Great trick! Don't so many recipes call for just a tablespoon or two of tomato paste? That's why I figured out How to Freeze Tomato Paste a tablespoon at a time. You do keep chicken stock in the freezer, right? Here's how I do it, No-Big-Deal Homemade Chicken Stock. Cauliflower florets nest easily between the chicken pieces and because the cauliflower isn't submerged in the braising liquid, it doesn't get soggy. But for all other vegetables, I think, I'd toss the roasted vegetables in with the Nesting Vegetables, then nest the chicken (or beef or whatever your choice ...) on top. Some preserved lemons are a little softer than others. If it mashes/pulverizes easily with the back of a spoon, great. If it doesn't, remove the seeds, then run the lemon through a mini food processor. For just a touch of that lovely sourness of preserved lemon, use only the skin and chop it finely (discard the flesh). NUTRITION INFORMATION First, a note. Three pounds of chicken yields about 2 pounds of meat that itself would yield the standard four ounces uncooked meat per serving used in Kitchen Parade recipes. That said, because cauliflower shrinks while roasting, even a big head of cauliflower shrinks down to eight small-ish cauliflower servings, you may want to roast extra cauliflower and/or serve another vegetable on the side. A large butternut squash, however, doesn't shrink and easily feeds eight. Per Serving, made with cauliflower: 271 Calories; 13g Tot Fat; 2g Sat Fat; 94mg Cholesterol; 527mg Sodium; 12g Carb; 5g Fiber; 5g Sugar; 26g Protein. 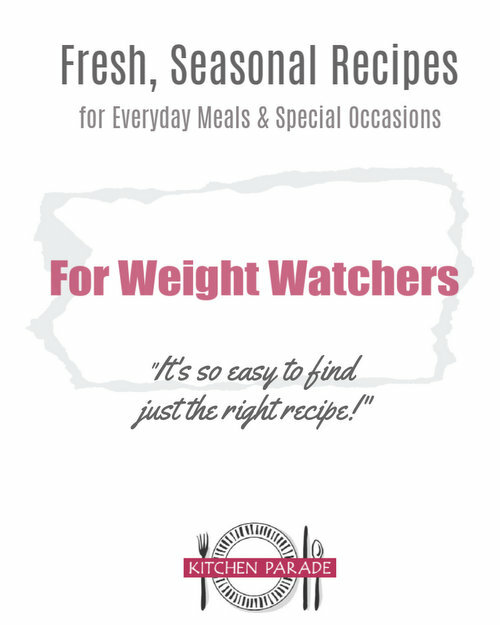 WEIGHT WATCHERS POINTS Old Points 6 & PointsPlus 7 & SmartPoints 7 & Freestyle 5. This recipe has been "Alanna-sized". Adapted from New York Times.